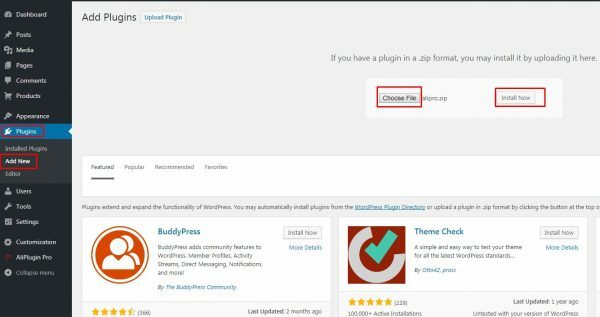 To install AliPlugin Pro, first go to Plugins tab in your WordPress admin area. Click Add new button, then Upload Plugin, choose alipliuginpro.zip file to upload, and click Install now. After the plugin is installed you can activate it with the license key. Click Upload file, choose a theme to upload, then click Install now. Now, when AliPlugin Pro and the theme are activated you get the access to all functionsof the plugin and can customize the theme in Customization.